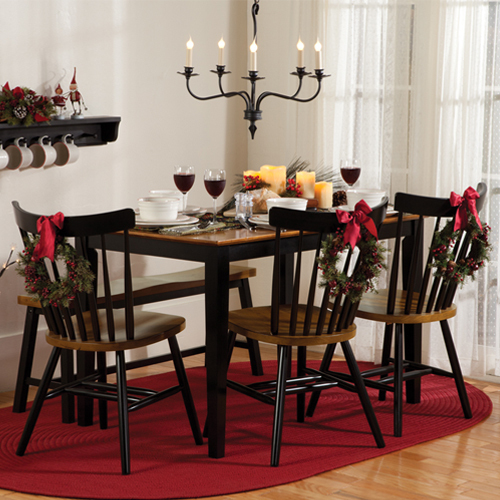 At Sturbridge Yankee Workshop, we have lots of ways to help you with your Holiday Entertaining needs. Entertaining family and friends during the holiday season can surely be stressful, so let us ease the burden with some of our useful products featured below. The assortment of our coordinating serving dishes, utensils, handy serving tools, and classically styled dining furniture is one that we are proud to offer our customers. Let’s take a look below. Add cohesiveness to your serving trays and utensils, for a polished look while entertaining anytime of year. 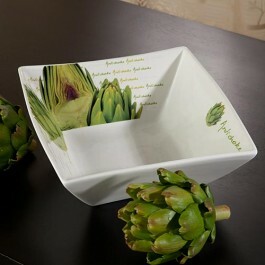 To the left we feature our Artichoke Serving Bowl; perfect for serving a salad or small side dish. Made of heavy duty, restaurant grade china, this white serving bowl displays a photo realistic image of an exposed artichoke heart. Artichoke is written numerous times in various shades of green throughout the background and pairs well with our matching Artichoke Bread Tray. At SYW we also have some utensils that are simply perfect for your holiday gatherings. Our Vintage Reserve Spreader is made of stainless steel and is complete with an antique looking wine cork as the handle. This spreader makes serving soft cheese or cheese spreads, with crackers or toasted bread a breeze. Coordinate with our Bordeaux Vineyards Corkscrew for a wine or vineyard inspired holiday. Furthermore, both of these items would make a thoughtful hostess gift, as they come packaged for gift giving. Preparing dishes, even just the appetizers, ahead of time can save you time later on, to better be able to enjoy the party with your guests. At Sturbridge, we have a variety of kitchen tools that you’ll find handy on many occasions, but the items presented here are sure to become your ‘go-to’ when entertaining for the holidays. To the left, our Stay Cool/Warm Dip Server is made of durable white stoneware. 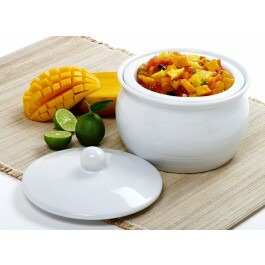 The dual functioning dip server, keeps both cold dips and hot dips at the desired temperature. Other must-have items this holiday season, are none other than our Embroidered Crackers and Bread Baskets. Displaying the baskets contents, your guests will enjoy the homemade feel of the hand woven, pine wood baskets with an exclusive “wave-weave.” The convenience here is the washable, cream linen liner inside each basket. And to round out the collection, we also suggest our Salt & Pepper Basket. We hope entertaining will be a little easier this year, with the use of any of these quality made products. Happy Holidays from all of us at SYW.